Every year we follow the Iditarod and keep tabs on the kids musher. Here is a picture of our maps and jerseys. Something brand new I implemented is an incentive to get my students reading. March is such a hard month for us in the North because it has been a long winter and kids are just starting to get outside a bit. There amount of reading drops way down in March. We are having “The Last Great Reading Race” from Anchorage to Nome and they are loving it! Here is our reading course – sorry about how blurry it is! We will also be doing an iditarod glyph, reviewing a power point, and Iditarod math and ELA pages. I also put together a great list of Iditarod related resources and lesson ideas. You can find all this stuff either together in a unit or individually at my TPT store. Let me start off by saying, a HUGE pet peeve of mine is when authors write a popular children’s book and next thing you know, there are TWENTY books with the same theme or characters. Nothing against Mary Pope Osbourne, but I think you’ve made enough money off Jack and Annie! Ok, rant over! Flora and Ulysses: The Illuminated Adventures by Kate DiCamillo is NOTHING like her other books but is just fantastic in it’s own way. It begins with a tragic accident that has unexpected consequences. The squirrel never saw the vacuum cleaner coming, but self-described cynic Flora Belle Buckman, who has read every issue of the comic book Terrible Things Can Happen to You!, is the just the right person to step in and save him. What neither can predict is that Ulysses (the squirrel) has been born anew, with powers of strength, flight, and misspelled poetry — and that Flora will be changed too, as she discovers the possibility of hope and the promise of a capacious heart. My students LOVED this book. Everyday for two weeks they spent 20 minutes right after lunch mesmerized. At one point the teacher next door came in to see what they were laughing at! I will give this book 8 out of 10 stars! My students LOVE doing scavenger hunts. If it’s a worksheet – they love it! If it’s something they do outside – they love it! If it incorporates pretty difficult math – they love it! haha Because of this I started creating Math Scavenger Hunts. This past week my students worked on the order of operations and expressions scavenger hunt. It’s got a fun cowboy theme that they enjoy. I print the scavenger hunts out on card stock and then staple them to a manila folder and use them again and again. The first time we did the scavenger hunts I hung them around the room. But as we gradually get use to each other and more comfortable, depending on behavior, I put them up in the hallway, and for the last few around the school! The order of operations scavenger is pretty challenging and takes them about an hour. I let them work with partners and they always have to show their work. In fact question number six REALLY threw them for a loop! They walk around with clipboards and answer sheets. All of my scavenger hunts include riddle letters and clues and a fun riddle at the end. This riddle was, “What kind of bear has no teeth? ?” at each stop they have to figure out the riddle letter. Some of them gave them a letter, like clue #6 above and some incorporated math to figure it out. Here is the answer sheet to show you what I mean. This order of operations and expressions scavenger hunt is only $3 in my TeacherPayTeacher store. You want to look one over and try it out first? The Addition Scavenger hunt activity is FREE!! Of course if you want to absolute best value, you can get all 11 of my hunts for ONE low price! (Really only $13.99??? I want to make it affordable for teachers to use!!) This file includes the Fractions Scavenger Hunt, Place Value, Decimals, AND rounding numbers scavenger hunt, Order of Operations Scavenger Hunt,Customary Measurements, Division Scavenger Hunt, Metric Measurements, Multiplication Scavenger Hunt, Subtraction Scavenger hunt, AND an addition scavenger hunt! GO FIND IT HERE! This is a BRAND NEW feature for PowerPoint Maniac’s blog – Book Review Wednesday. I’m going to try to put out some book reviews occasionally on Wednesday’s for your viewing pleasure! Sometimes it will be new books and other times will be some of my old favorites. Since I teach 5th grade the focus of most of the reviews will be from that age group, but since I am also a father – you never know!! The first book in this series is the brand new Derek Jeter kids book called, “The Contract”. As a young boy, Derek Jeter dreams of being the shortstop for the New York Yankees. He even imagines himself in the World Series. So when Derek is chosen for the Little League Tigers, he hopes to play shortstop. But on the day of the assignments, Derek Starts at second base. Still, he tries his best while he wishes and dreams of that shortstop spot. And to help him stay focused on school, his parents make him a contract: keep up the grades or no baseball. Derek makes sure he always plays his best game—on and off the baseball field! Derek Jeter has played Major League Baseball for the New York Yankees for twenty seasons and is a five-time World Series Champion. He is a true legend in professional sports and a role model for young people both on the field and through his Turn 2 Foundation. If you have boys at home or in your class, this is the book for them! My son is currently 8 and he received this book for Christmas. It’s now the end of January and he has read this book SIX TIMES ALREADY!!! My son says it gets FIVE STARS! I don’t currently have a novel guide for “The Contract” but I DO have over 25 novel group guides in my TPT store!! Jimmy Did This To Us! Did I get your attention yet? So maybe Jimmy Kimmel is a little funny but one of the things he asks parents to do is the not funny part. I’m referring to a viral video from youtube where Kimmel asks parents around the world to tell their kids, “I ate all your Halloween candy!” (or Easter candy… depends on the holiday) and then video tape their response and send it in to him. Really?? This is comedy? laughing at a 4 year old in a crying fit? What has happened to our culture when we think it is “Hilarious” and laugh hysterically at a little kid upset and crying? (I’m purposefully not linking to it because I don’t want to give it any more publicity.) Strangely it’s ok if PARENTS treat their kids this way… but if a TEACHER ever did it??? They would want to crucify them! As a fifth grade teacher I get to see EVERY. SINGLE. DAY. what a cruel and unfair world some of my students live in. At the very least they should be able to count on their parents to be truthful with them, to help them along, and to know that they have their best interests always. As a father, I try to use Ephesians 6:4 as my guide: “Fathers, don’t provoke your children to anger.” At the very least in a world surrounded by bullies, kids should not have to feel bullied by their parents OR by Jimmy Kimmel and he needs to try a little harder in his comedy! Please don’t do this to your/our kids! Feel Free to share or pin this. I’ve been using #jimmykimmelisnotfunny on FB! Happy Fathers’ Day! I’m so appreciative of the many great fathers out there, and especially the great father figures in our education system. I have a five year old son and a five month old son! Fathers are under attack in our country today. Some of this is warranted because of the amount of dead-beat dads and fathers who give up their responsibility, but not all dads fit this description. Our culture seems to be fueling this idea. If you are not sure what I am talking about, check out some of the family sitcoms on TV today. Modern Family, Three and a Half Men, Rugrats, and practically every Disney Channel show has the same character: the goofy dad who acts like an idiot, is a pushover, and gives the kids everything they want. This character completely leaves it up to the mom to be responsible, handle all the discipline, and clean up all of the dad’s mistakes. I grew up watching Married with Children, Home Improvement, and Everybody Loves Raymond. Don’t forget the classic example of Homer Simpson! I don’t think anyone would argue that this pattern holds true for these shows as well. Unfortunately this is slowly leaking into Young Adult and Children’s books, and the movies that are associated with them. Consider a recent entry in the Knuffle Bunny series (Hyperion), by Mo Willems, which revolves around the obsessive relationship between Trixie, a Brooklyn girl, and her plush bunny. Trixie, beginning school in Park Slope, discovers that another girl owns the same toy. They accidentally switch bunnies. That night, Trixie wakes up and realizes that her comfort object is an alien impostor. She flips out—she wants Knuffle Bunny, now! Her dad sheepishly requests a reprieve: “Trixie’s daddy tried to explain what ‘2:30 A.M.’ means. He asked, ‘Can we deal with this in the morning?’” Trixie’s fixed stare makes clear that the answer is no. Salvation comes in the form of a ringing phone: the other girl’s father, equally cowed, has called to propose a handoff in Prospect Park. There’s an element of satire here, but the idea that children have complete authority is now so normal that many readers, old and young, are likely to consider a moonlit stuffed-animal exchange an ordinary turn of events. The other day in my classroom I turned off the newest movie version of “How to Eat Fried Worms” because of its portrayal of parents and teachers. I then went on to explain to my students that not all parents and teachers act like the adults in the movie, and we had a nice conversation about it. You may be asking, “What does this have to do with me?” I would like to ask that in your influential role as an educator, parent, or adult, you make a point of picking some books that portray fathers as heros, or books that show a father as a firm, but fun-loving dad who is not an idiot, and doesn’t skirt all of his duties. Do you teach Pre-K to 2nd? You may want to consider Kevin Henkes, a Wisconsin author, who uses some of his Midwestern good sense to make the parents firm and consistent. How about 3rd – 7th? One of my favorite series to read aloud is the Adirondack Kids series. These kids know how to be respectful to their dads. As educators and parents let’s help change this stereotype, and celebrate dad as a hero and for goodness sake turn off the Disney channel! Did you get your Scholastic flyers for January yet? Did you notice the amazing offer for the book, “Stone Fox?” Scholastic is offering the book for only one dollar!! I thought, why not!?! 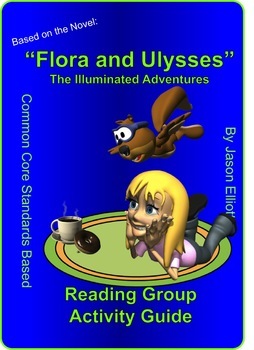 So from now until Feb. 14th my Stone Fox Reading Group Guide will be available from both my site, Power Point Maniac’s Teaching Resources, and from my Teachers Pay Teachers store for only a buck! This “Stone Fox” by John Reynolds Gardiner Reading group activity guide is set up so it can be used as a unit plan for the teacher, or used by students in literature circles. It is broken up into a 13 day plan, and includes chapter questions, vocabulary, projects, and reading comprehension. This would also be a great resource for a homeschooler to follow along with the book. Wow! Have you seen a book draw as much excitement and buzz as the Diary of a Wimpy Kid series?? I would venture a guess that it has at least been since the last Harry Potter book came out. My students in school went berserk when I got a little teaser from Scholastic this week. (The book comes out November 13th) They love the wimpy character, Greg, and all his crazy antics. This time… Love is in the air!! Here is the teaser for the book. Thank you so much if you were able to participate in the Teacher Appreciation Jackpot. I’m very sorry if you were not able to download the freebie!! Check back soon for the next great promotion and don’t forget my site www.powerpointmaniac.com is 30% off until May 11th if you use the code, “teacher”. Thanks again! Seasonal January Page update – More Freebies!! I realized I am way behind on updating my blog and website. Yikes, it’s been months. I took a few hours yesterday and completely redid my January Seasonal page and guess what? I added a bunch of freebies! There are now FOUR different seasonal items for your downloading pleasure including the popular “Winter Seasons Reading Comprehension Packet” found here. It’s been downloaded several hundred times already! My other very new file (which is 25% off right now) is a primary Martin Luther King Jr. Unit. This is a zipped file that includes a 30 slide Power Point lesson, a PDF worksheet packet (10 pages) and a PDF file that includes a fun craft template and directions as well as ideas for MLK books, videos, and neat activities.